IT’S THAT TIME OF YEAR AGAIN! Welcome to my ESCountdown 2019, presented by eCinemaOne, The Kirkham Report, and Planet BiblioMusica! 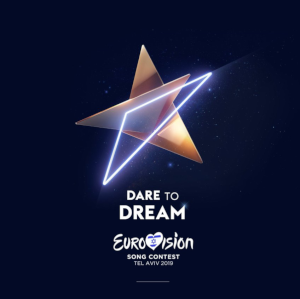 Between April 7 and May 10, I will countdown my picks of the entries in the Eurovision Song Contest 2019! There are 41 countries participating this year, and we’ll bring you each and every entry from them all! Last year, when we first launched our ESC coverage, we did the songs in random order. This year, I’m changing things up a bit. Due to copyright issues with the way I did my TKR videos on YouTube, my ESC show last year never made it to public consumption. So this year, rather than just cover the songs, I’m bringing you all the info on each song this year ranked in order of my personal preference from bottom to top. I’ll give the reasons for my personal rankings, and some background info on the song, artist, songwriters, and such. Again, these are MY opinions, and I realize that the ESC fan community is a rabid one, and rarely everyone agrees with everyone else, so as they say, your mileage may vary. In at #40 is the official entry from Iceland, “Hatiro mun sigra” by Hatari, written by Einar Hrafn Stefánsson, Klemens Nikulásson Hannigan, and Matthías Tryggvi Haraldsson. The song is performed in Icelandic. The band has been performing together since 2015. So let me get this straight…we go from the banal, snooze-inducing 2018 entry “Our Choice” by Donny-Osmond-esque Ari Olafsson, about peace and harmony concerning the European immigration crisis, to this? You lose out with the Icelandic version of “Kum-ba-yah” last year and so you do a 180 degree turn and go the completely opposite direction? What the actual F**k? Iceland debuted in Eurovision in 1986, and has never managed a Grand Final championship, but they’ve come close twice, earning runner-up status with “All Out Of Luck” by Selma in 1999 and “Is It True?” by Yohanna in 2009. Since the introduction of semi-finals in 2004, the country has not qualified for the final seven times, including last year. And hopefully, that will happen again this year as well..
Join eCinemaOne, The Kirkham Report, and Planet BiblioMusica each day through this year’s finals on May 18 – be sure to check each site, because some of the features will be exclusive to just one of the sites! My daily song countdown will appear on all three sites, with some additional material coming to both Planet BM and TKR in the days and weeks’ ahead. If you like my Eurovision coverage (or anything else we at PNRNetworks do, of course), please take the time to become a Patreon Patron! We have a TON of great perks available, three Patron-only podcasts available to patrons at the $5/month level and above, and more! Be sure to check us out and help us be able to bring you all kinds of great coverage of music, movies, television, and much more! Become a Patron today at http://patreon.com/pnrnetworks! Catch all the official EuroVision action at their official Website and on their official YouTube channel! And hopefully, we’ll get to see the finals again this year (although nothing is confirmed yet) on LogoTV!